*Due Dates Sheet: Fillable Fields for project due dates! 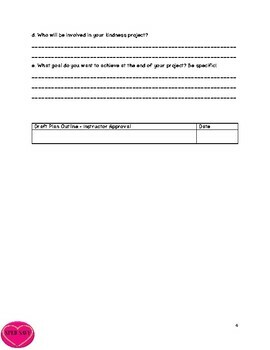 *Plan Outlines: Draft and Final plan outlines for the students to fill out. They will have to answer specific questions about their project to ensure that they have all of the details planned out. 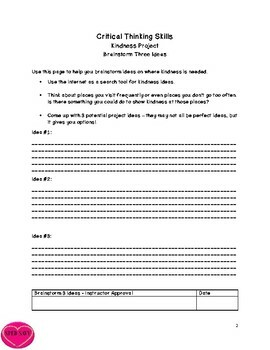 *Project Check-ins: Three check-in sheets for the student to turn in and report on their progress. This helps with them staying on track and chunking their project into reasonable assignments. *Presentation Outlines: Draft and Final presentation outlines for the student to prepare after completing their project. *Presentation Check-ins: Three check-in sheets for the student to turn in and report on their progress. This helps with them staying on track and chunking their presentation into reasonable assignments. *Grading Rubric: Rubric includes the project, presentation, and all assignments in the packet. The points section of the Rubric has fillable fields!